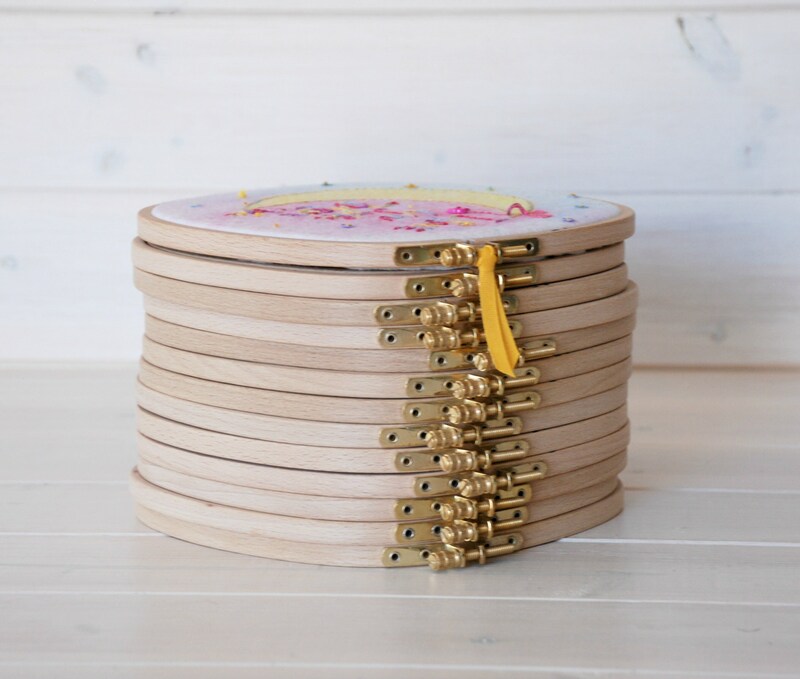 Wooden Embroidery Hoops with brass adjusting screw. 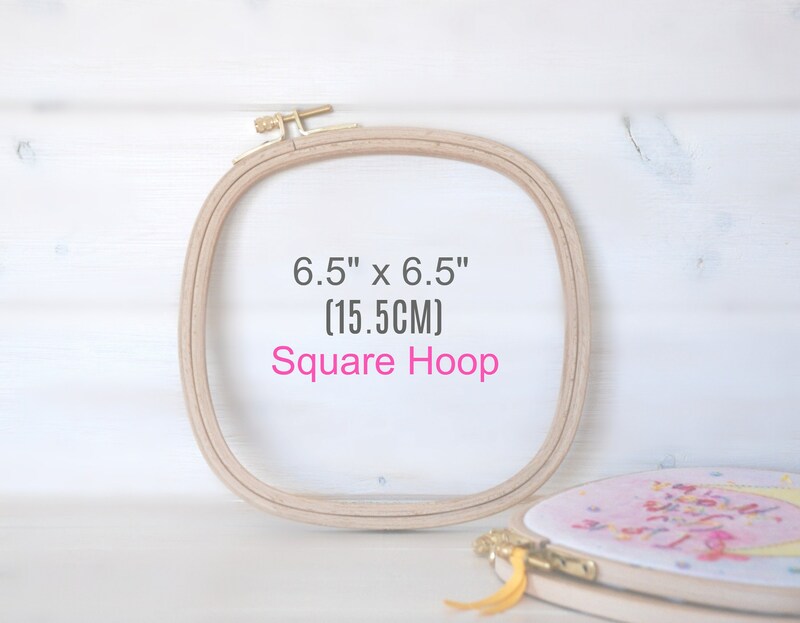 These gorgeous square wooden embroidery hoops are super sturdy and fancy, perfect for needle craft, embroidery, fabric painting and many craft projects. 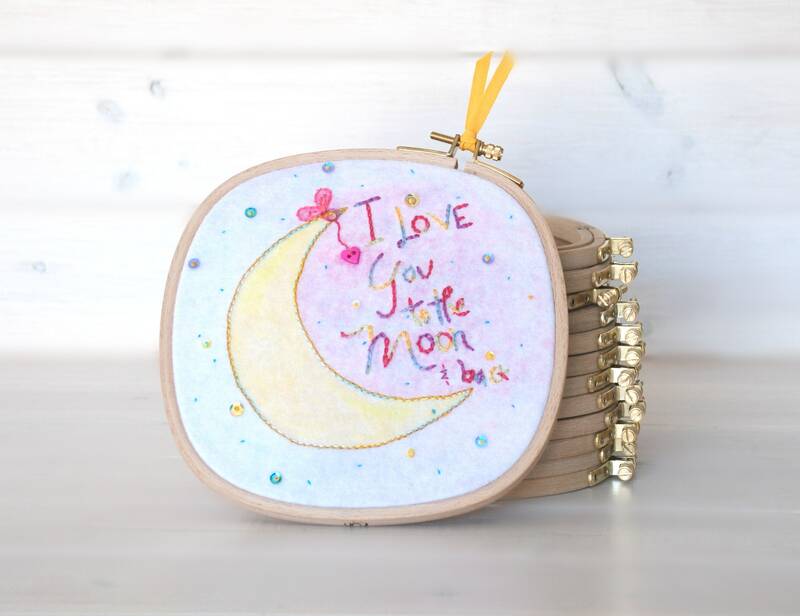 Once it's finished; embellish the edges with ribbon, lace or twine. These can also be use as decor frames. Sturdy hoop. Im very happy with this purchase. I LOVE this hoop so much!